In this episode we focus on carbon pricing and its prospects both federally and in the states. 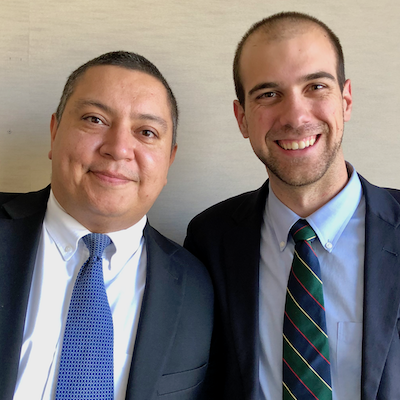 My guests are Andres Jimenez, Senior Director of Government Affairs, and Jamie DeMarco, State-Level Carbon Pricing Coordinator, for Citizens' Climate Lobby. In a purely coincidental bit of good timing, the morning that our interview was scheduled, a bipartisan group of Congressmembers introduced a major new federal carbon price bill. We start the interview by discussing the bill, what it does and what its prospects are, and then we shift gears and discuss the state landscape for carbon pricing. Recorded: November 28, 2018. Published: November 29, 2018. More Power To You is sponsored by the Energy News Network. With original reporting on clean energy and daily digests of timely aggregated content, the Energy News Network is dedicated to covering America's transition to a clean energy economy. Subscribe for free to its regional services covering the West, Midwest, Northeast and Southeast, or to its national service—US Energy News—at energynews.us.